An award winning, breathable foundation containing the patented Ceravitae™ Complex, that helps to soothe, heal and protect whilst stimulating skin cell production. 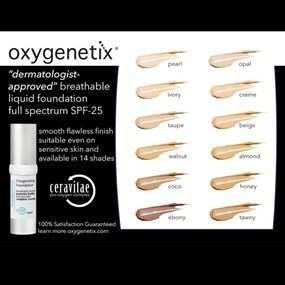 Conceals and camouflages for a beautiful, flawless finish. Available in 14 unique shades. 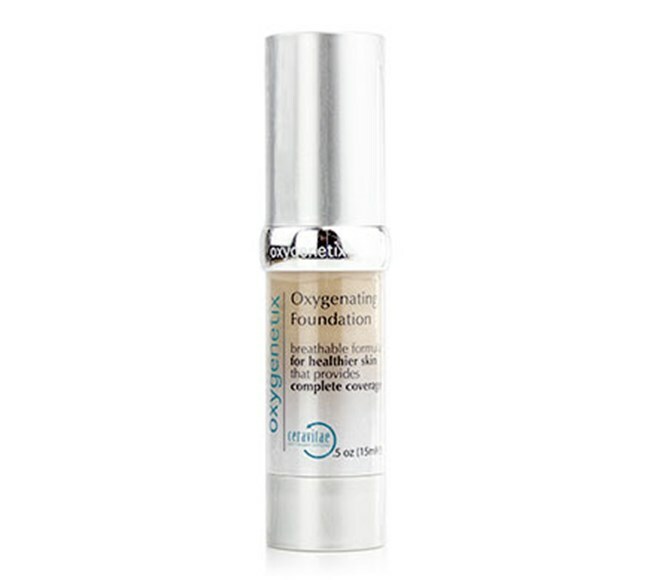 Whether your skin is healing from an aesthetic procedure, or you just want to slow the signs of ageing, Oxygenetix Breathable Foundation has you covered and protected. 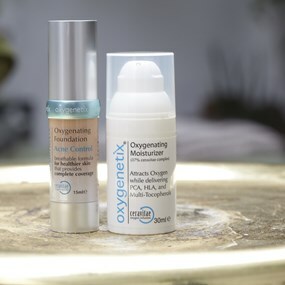 Perfect coverage for rosacea, redness, acne, psoriasis, eczema, vitiligo and other blemishes, the oxygenating, natural components of the gel base, Vitamin E, grape seed extract and Salix alba extract work in harmony to create a light, breathable, protective skin. Ideal for sensitive,irritated and damaged skin. 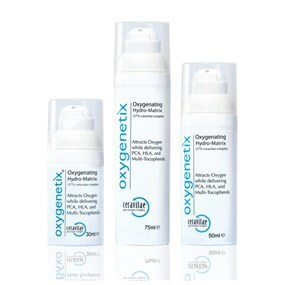 The water-resistant formula stays on while you’re swimming or exercising. Safe for those with acne, rosacea, psoriasis, eczema and burns. This formula is also free of fragrance, oil, dye and parabens so it is safe for reactive skin. Can be used after procedures such as microdermabrasion, injections and peels as a comforting product. After cleansing, blend lightly into skin with fingertips until even. Build up in thin layers until the desired coverage is reached.